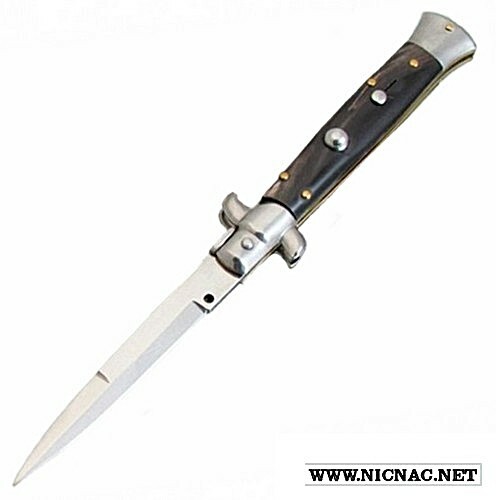 This Italian stiletto knife made in Italy, also known as a switchblade, opens with the push of the button and closes by simply pushing down on the top bolster to release the blade. This automatic switchblade has a dark horn handle with a BAYONET blade and is overall open length 9 inches. All of our switchblade knives are genuine Italian knives made in Maniago,Italy!